One boy one girl!! First pregnancy!! thank you! that was taken so long ago now, i will have to post a new pic. 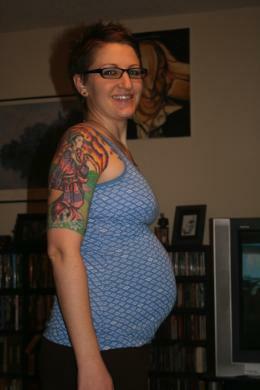 right now i'm 34 weeks and much bigger than in this picture!! good luck with your pregnancy! your bump is so neat,I absalutely love it,we are simular in size.